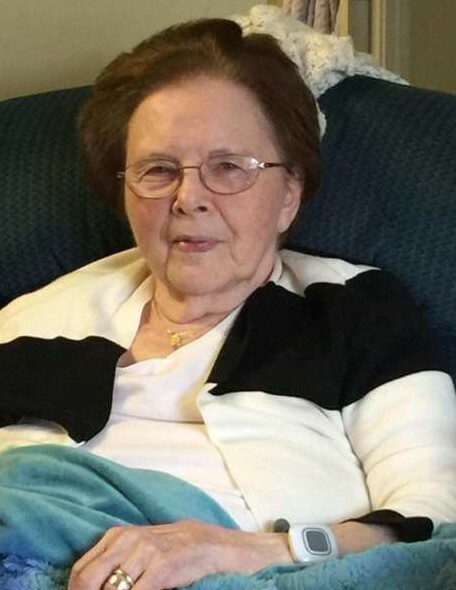 Mildred L. (Dowling) Hiersche, 91, of East Longmeadow, passed away peacefully on Tuesday, April 9, 2019 at Baystate Medical Center in Springfield. She was born in Springfield, daughter of the late Martin Joseph and Grace Evelyn (Bromley) Dowling and was a graduate of Classical High School in Springfield. Mildred lived most of her life in Holyoke, and worshipped at Grace United Church in Holyoke and Second Baptist Church in South Hadley. She was the widow of Norman E. Hiersche, who passed in 2014. She found her soulmate of nearly 65 years in Norman, who graduated from Springfield College in 1950 and was so proud of Mildred being named “Springfield College Dream Girl”. She is survived by a son Steven Hiersche and his wife Janet of Bourne; two daughters: Sandra Murray and her husband John of South Hadley, and Susan Usaforest and her husband Mark of Springfield; four grandchildren: Steven Hiersche Jr. and his wife Mary, Jennifer Hiersche, Jonathan Murray and his wife Courtney, and Ryan Murray; two great grandchildren: Logan Murray and Charlotte Hiersche, and many loving nieces and nephews. She deeply loved her family, a number of beloved poodles that found their way to her over the years, and will be remembered by so many people as a beautiful, thoughtful, caring person. She was a woman of strength, style, and dignity, and kept her family smiling with her sense of humor. A funeral service will be held Saturday, April 13th at 1:00 p.m. in the Barry J. Farrell Funeral Home, 2049 Northampton Street, Holyoke. Burial will be at a later date in Hillcrest Park Cemetery, Springfield. Calling hours will be held Saturday from 11:00 a.m. to 1:00 p.m. prior to the service. Memorial contributions may be made to the American Heart Association, 300 5th Avenue, Suite 6, Waltham, MA 02451.